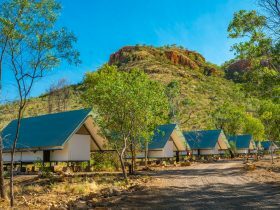 Located only minutes from the centre of Kununurra and sitting in the shadow of the spectacular Mirima National Park, the Hidden Valley Tourist Park provides large shaded grassy camp sites, caravan sites and cabin accommodation. 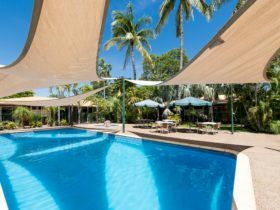 The pool and barbecue areas are a wonderful way to unwind and enjoy a truly breathtaking sunset over the surrounding rugged landscape. 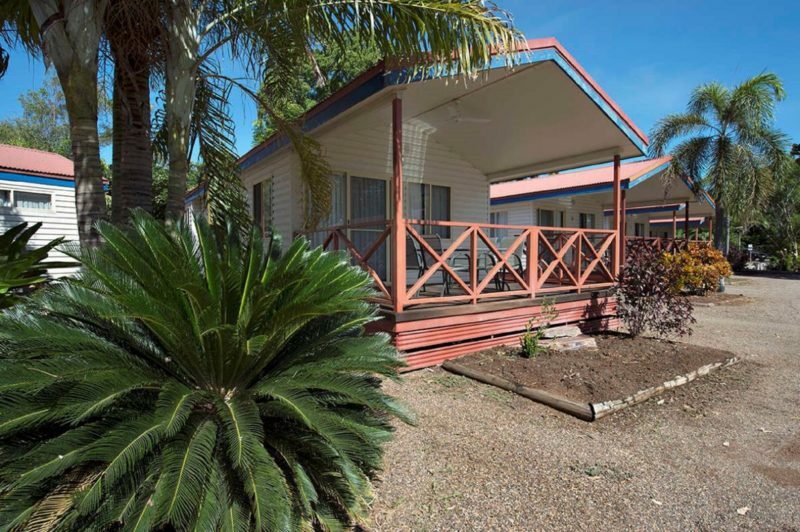 Features include well maintained garden and grass areas, wireless internet, modern laundry and ablution blocks, camp kitchens and booking office for your convenience. 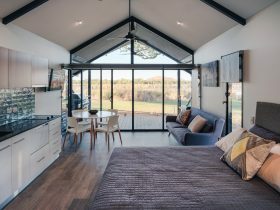 On-site cabins are self-contained, air-conditioned with en suites and come with all linen and a fully equipped kitchen. Motor Homes and ‘big rigs’ are welcome and a number of large bays with easy access are available. Enjoy their free Sunday breakfasts during the months of May to September. 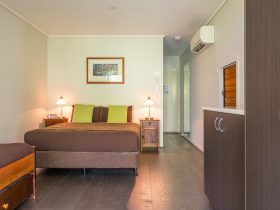 The Deluxe Cabin offers one room, open plan living with your own private en suite and all linen is provided. A kitchen, which contains all utensils, crockery and cooking equipment, also includes a microwave oven. 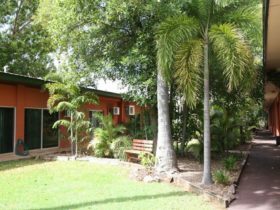 Cabins also have a television, are fully air-conditioned and have a private deck that overlooks the beautiful Mirima National Park (Hidden Valley). A large proportion of the sites are under the shade of beautiful mango trees. The gardens enhance the lawn sites and are highly maintained. Guests have free use of the parks barbecues and campers kitchen.